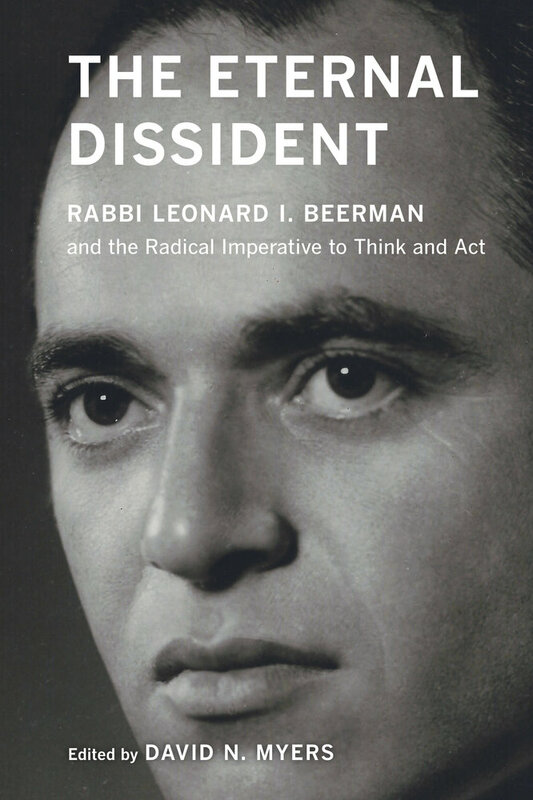 The Eternal Dissident offers rare insight into one of the most inspiring and controversial Reform rabbis of the twentieth century, Leonard Beerman, who was renowned both for his eloquent and challenging sermons and for his unrelenting commitment to social action. Beerman was a man of powerful word and action—a probing intellectual and stirring orator, as well as a nationally known opponent of McCarthyism, racial injustice, and Israeli policy in the occupied territories. The shared source of Beerman’s thought and activism was the moral imperative of the Hebrew prophets, which he believed bestowed upon the Jewish people their role as the “eternal dissident.” This volume brings Beerman to life through a selection of his most powerful writings, followed by commentaries from notable scholars, rabbis, and public personalities that speak to the quality and ongoing relevance of Beerman’s work. David N. Myers is President and Chief Executive Officer of the Center for Jewish History in New York. He is also Sady and Ludwig Kahn Professor of Jewish History at the University of California, Los Angeles. Commentary by the Reverend James M. Lawson Jr.
18. Is There a Relationship between Judaism and Social Justice?